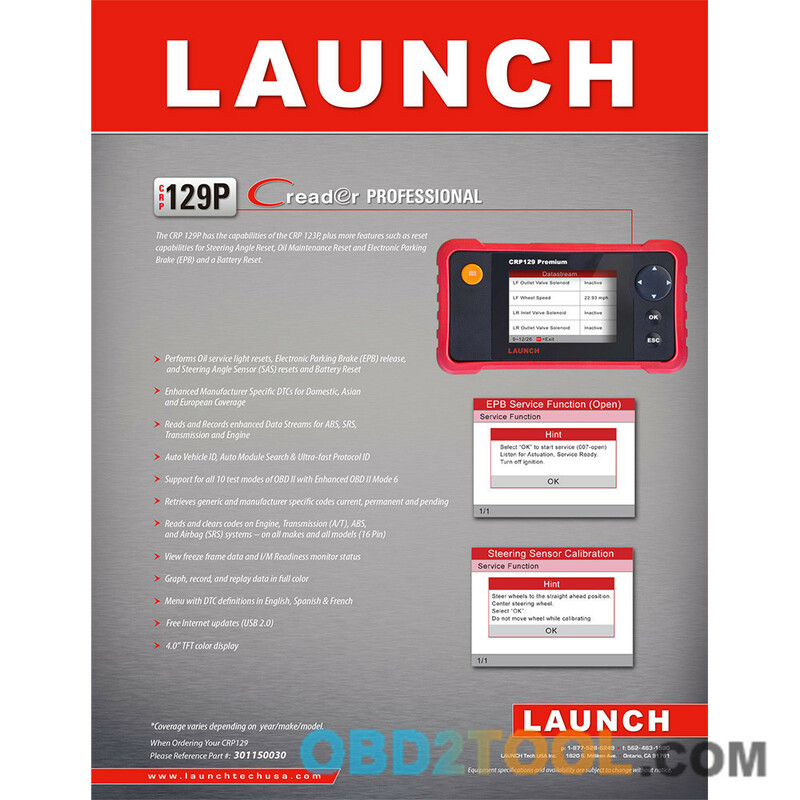 This menu enables you to view Launch CRP129 Premium information and OBD introduction. In main menu, select [Help] and press [OK] to enter Figure. This option helps you to find the location of the vehicle’s DLC. In Figure 6-1, select [DTC Library] and press [OK] to enter the following screen. Press [?]/[?] button to move the highlight bar to different position. Press [ ]/[?] 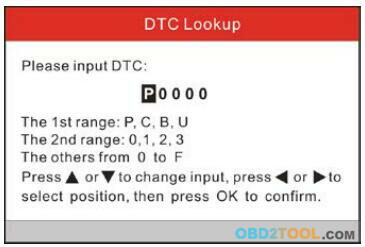 button to alter the value, then press [OK] button, the screen will display definition of the DTC. This option allows you to view the full name and detailed explanation of the automotive glossary abbreviations. This option displays the related information of your tool. 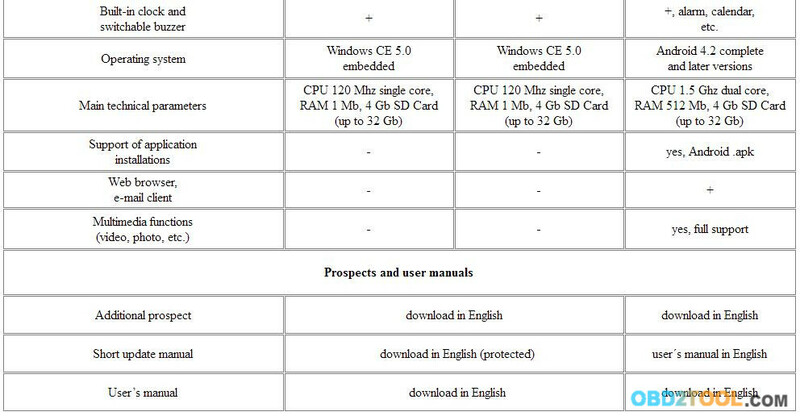 In Figure 6-1, select [Tool Information] and then press [OK]. Note: You are strongly recommended to note down the Serial Number and Register Code in Figure 6-3 since these 2 pieces of information are required while registering your LAUNCH Creader CRP129 Premium. Press [ESC] to return to the previous screen. 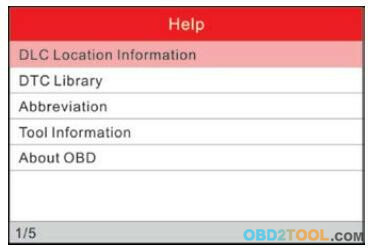 This option allows you to have a general knowledge of OBD. 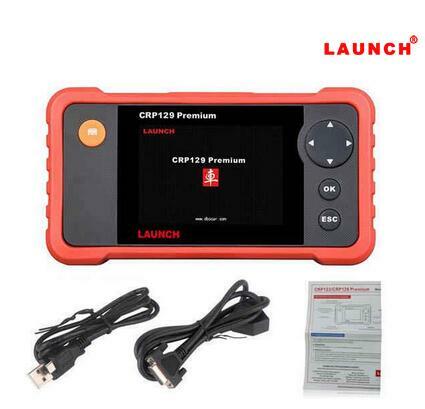 The LAUNCH CRP 229 , Launch CRP123 Premium and Launch CRP129 Premium are the new solution for car owners and services for express-diagnostics, with the maximum possibilities at relatively low cost. 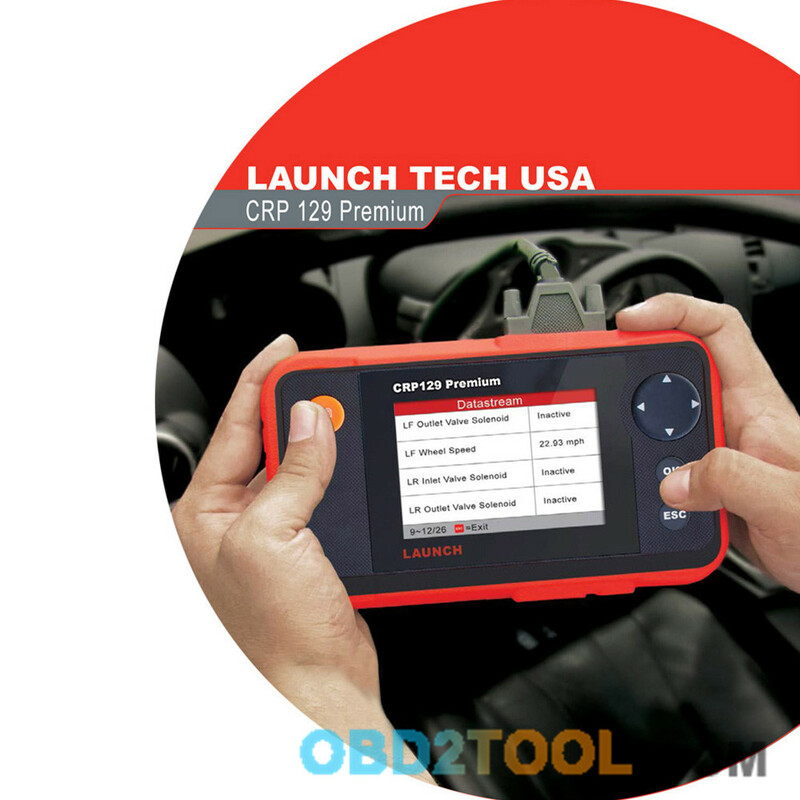 For models LAUNCH CRP 123 / 129 Premium device capabilities allows read and erase error codes with explanations, read the current data on the four basic systems of the car – engine, transmission, ABS (ESP, DSC), Airbag (SRS), and for CRP 129 Premium are offered additional features for programming and service intervals resetting, some basic adaptations for the main important functions and ability of diagnostic of the system EPB (electronic parking brake) / SBC (Sensotronic brake control module). The ?mayor? 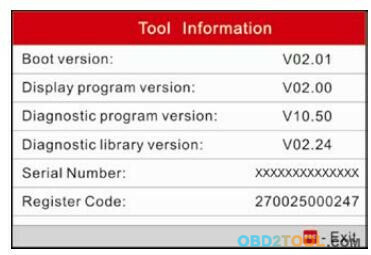 scanner version CRP 229 some features coming near to diagnostic level of equipments of professional series, there are more capabilities of basic adaptations and functions in comparing with CRP 129 Premium – ability of ABS bleeding, adaptation of throttle valve and some other functions. The principal difference from junior series CRP 123 / 129 Premium is the support of diagnostics for all available vehicle electronic systems and vehicles with ?old? 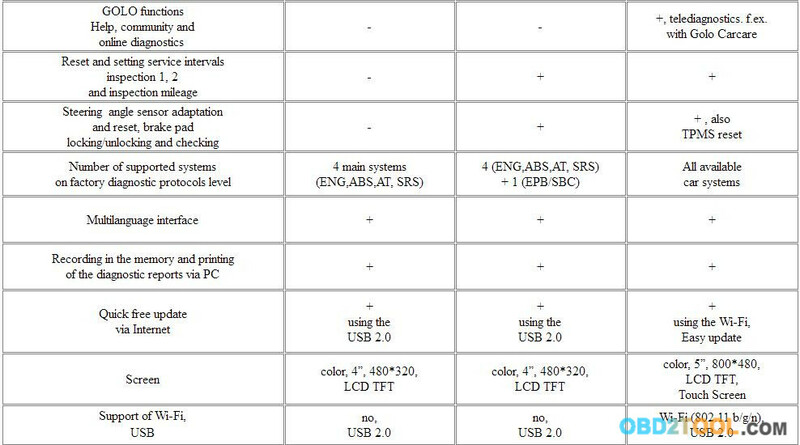 types of diagnostic sockets with optional adapters and ability to perform remonte diagnostics with optional accsessory Golo, for example with Golo Carcare. The device is equipped with the hardware buttons and touch screen, more powerfull hardware, Wi-Fi, built-in battery, OS Android, built-in software upgrade tool for easy update via Wi-Fi and other functions. The device is a simplified version of scanners of professional series, it is a successor of semiprofessional scanners of previous generations Launch X-431 Autobook and Quicheck. 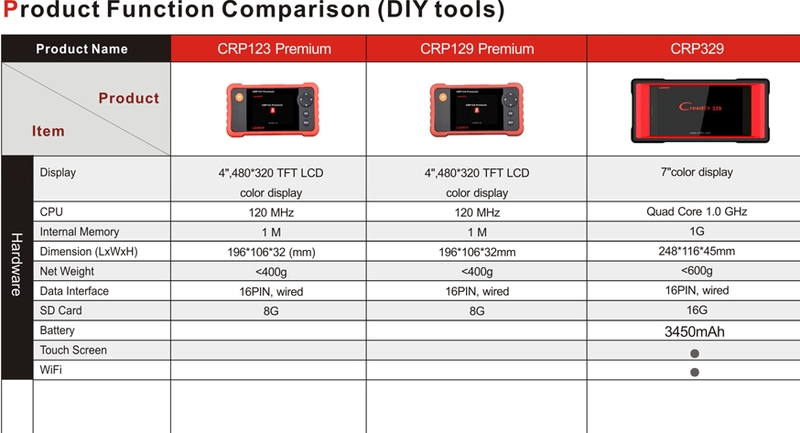 More functional and elegant CRP 229 would switch the professional device in the large service, when it will be busy on another car, when not needed very specific professional capabilities or for those, where there is no deep diagnostic level requirements. 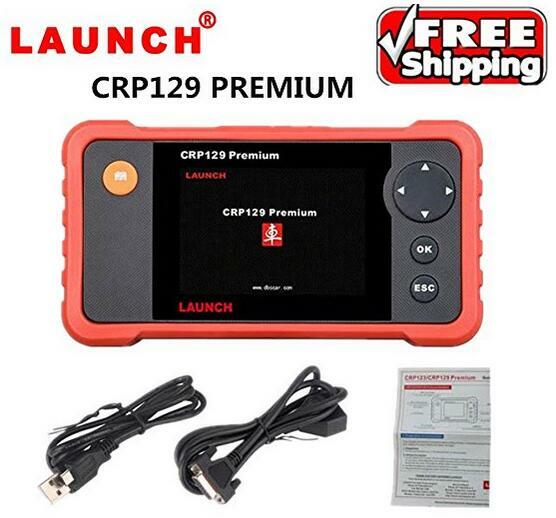 Solution CRP 129 Premium is especially useful for small services, service reception points and body/repair services for express-diagnostics depending on the requirements to the level of diagnostics, and low-cost CRP 123 Premium is suitable even for private use of individuals who have some of their own cars. Little size equipment allows to take it easily with you or express mechanic and make right on the road preliminary diagnosis. Easy and intuitive menu allows using it to anyone, even a service mechanic or private person. The Code Reader Professional. 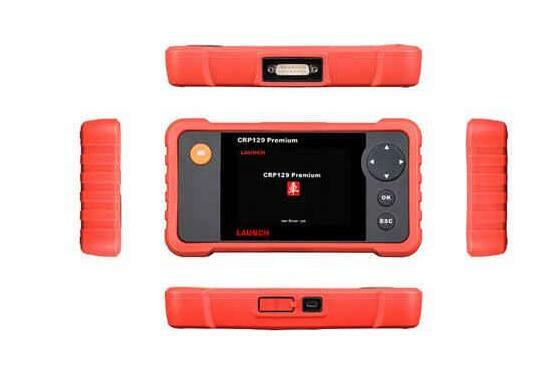 Premium Edition (CRP129 Premium) is the most up-to-date vehicle fault diagnosis tool in Launch’s line of handheld diagnostic tools. Don’t let its size mislead you; the Launch CRP129 Premium is a state-of-the-art tool and with innovative new designs in both its hardware and software it is one of the most reliable and accessible diagnosis tools on the market today. Based on the CReader Pro CRP123 the Pro CRP129 Premium is a marked improvement of its predecessor, as well as being the world’s first DIY diagnosis product with fully integrated OBDII, Car Model Diagnosis and Engine Oil Lamp Reset. It has a myriad of functions which extend beyond its OBDII/EOBD compatibility which has been achieved by amalgamating the typical diagnostic abilities of the X-431 series; essentially making it a combination of the CRP123 and the CResetter II. This allows for the simplification of car maintenance and services whilst also enhancing the reliability of the findings. Most features from the previous generation have been carried forward and are now included as standard. This includes the personalised function menu, LED diagnostic status indicators and multi-language selections; as well as an easy to read, full-colour screen which can display multiple graphs of data simultaneously & effortlessly. Unique to the CRP 129P is its utilisation of Launch’s newly developed DPU Platform, which allows us to adopt our own specially designed DP431 & JV700 chips. By being able to use our own tailor-made hardware in the CRP129 Premium, we have been able to maximise its efficiency as well as introduce remarkable improvements on the abilities of its precursors. Enhanced data stream for ABS, SRS, transmission & engine. Language options: English, Spanish, French. This product comes with a access to valuable software updates which are released by Launch over the internet. CRP129 Premium is a state-of-the-art tool and with innovative new designs in both its hardware and software it is one of the most reliable and accessible diagnosis tools on the market today. 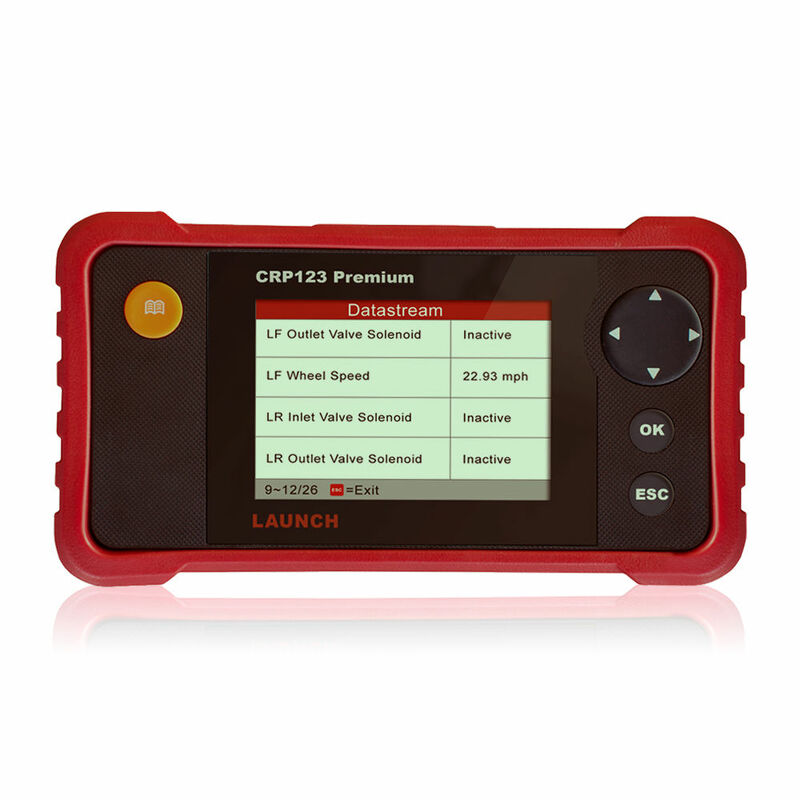 The LAUNCH CRP129 Premium Scanner accesses Engine, Transmission, ABS and Airbag (SRS) systems. It features an intuitive interface and supports the latest OBD II test modes 1-10. Graph, record, and playback crucial data to more efficiently diagnose drive-ability issues. 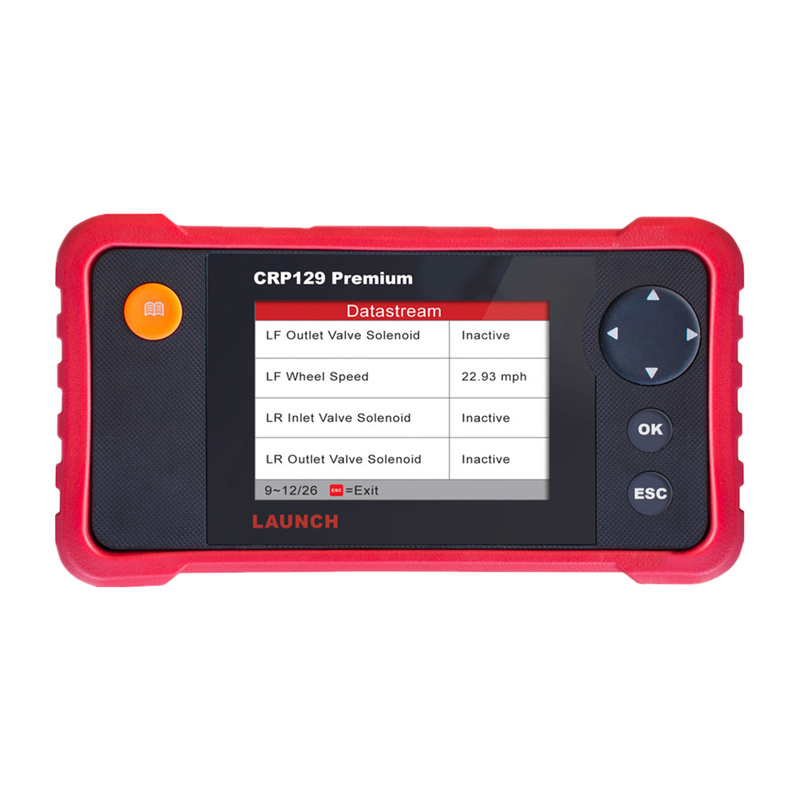 The CRP 129P has the capabilities of the CRP 123P, plus more features such as reset capabilities for Steering Angle Reset, Oil Maintenance Reset and Electronic Parking Brake (EPB) and a Battery Reset. Unique to the CRP129 Premium is its utilisation of Launch’s newly developed DPU Platform, which allows us to adopt our own specially designed DP431 & JV700 chips. By being able to use our own tailor-made hardware in the CRP129 Premium from WBTOOLS, we have been able to maximise its efficiency as well as introduce remarkable improvements on the abilities of its precursors. The CRP129 Premium accesses Engine, Transmission, ABS and Airbag (SRS) systems. It features an intuitive interface and supports the latest OBD II test modes 1-10. Graph, record, and playback crucial data to more efficiently diagnose drive-ability issues. (Service indicator) back, or Calibrated e.g. Your steering angle sensor. Even the Austasch the starter battery is there no longer a problem. 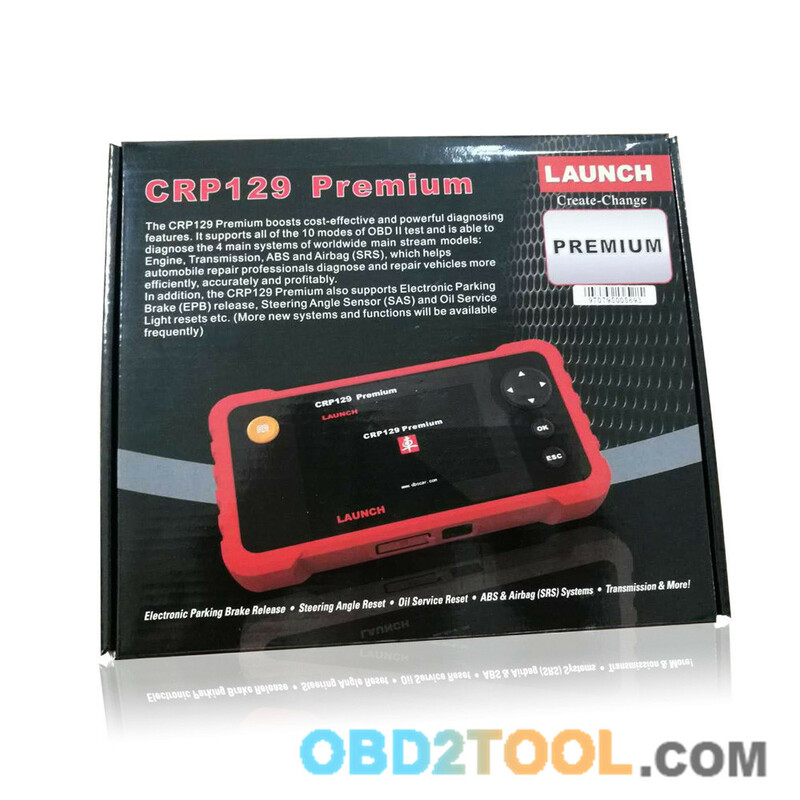 Since the CRP can perform 129 Premium from Obd2tool.com also the activation, or encoding function. Your vehicle brand is not listed, or you find another diagnostic system? Please contact us, we will advise you before buying. 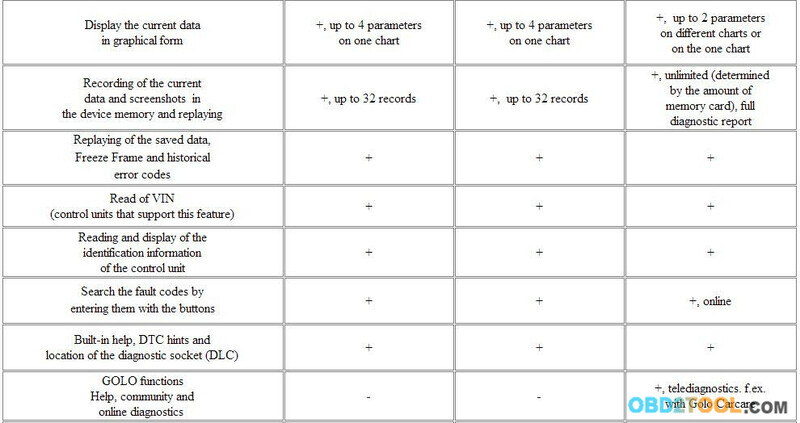 Depending on the vehicle used for other live data provided. Step 1: Click icon “Update Tool Download“. Step 2: Download and install “Launch Creader Update Tool “, after installation is complete, run it. Step 4: click “Update” to enter the registration page, input Email and Register Code, click “Submit“. Step 5: the register code can be found in the Creader VII+ / Creader VIII, how to find? Connect one end of the USB cable to Creader VII+ / Creader VIII, and another end to the computer. Step 6: Wait until Lacunch CReader profeesional 129 CRP129 enter the main menu, then Move the mouse pointer to the “Help” icon, finally press the “OK button. Step 7: select “Tool Information“, then press button “OK“. Step 8: the register code shown below is the one needed to enter in the step 4. Step 9: insert TF card into TF card reader, then insert the TF card into the computer. Step 10: restart the “Launch Creader Update Tool “, select the file you need or click “All”, then click “Download” to start the download. Step 11: After complete download, take out TF card from TF card reader and insert it into the slot of Creader VII+ / Creader VIII, then supply power for Creader VII+ / Creader VIII by the USB cable (one end of the USB cable connect to Creader VII+ / Creader VIII and another end to the computer) or by the vehicle diagnostic socket (connect the OBDII connector of Creader VII+ / Creader VIII to vehicle diagnostic socket ), after the Creader starts, it popup a window prompting ” System Upgrade- Sure Upgrade?”, select “OK” to upgrade.